SHOULD YOU BE EXCITED FOR DRIVER-LESS CARS? Besides being on the forefront of the electric car market, Nissan is busy working toward a future with driver-less cars. The idea that was once so foreign is making strides into a viable future, but should you be excited to take your hands off the wheel? Recently, Renault, Nissan, and Mitsubishi, collectively known as Alliance 2022, announced plans that include having 40 autonomous vehicles on the road by 2022. This plan is moving forward starting next year when the 2018 Nissan Leaf will include Nissan's ProPilot Assist. It seems to be a bright future ahead for these car companies but are drivers ready? It will be a strange feeling to simply sit back and let your car take you to your destination without any further input on your part. Tesla drivers are currently experiencing this feeling as today's Teslas have the ability to drive themselves but require human interaction on occasion. Drivers may rejoice in the luxury while some may feel that something has been taken away from them. The foreseen benefits for driver-less cars include greatly reduced accident rates and more efficient traffic. As a result, one can imagine that someone without a drive-less system would have much greater insurance rates due to the ability for human error on the road. Today's driver-less cars are not without fault however. 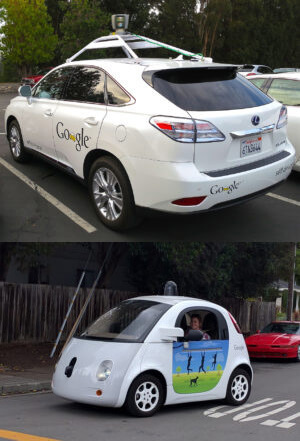 Last year, Google's self-driving car collided with a bus due to an incorrect assumption by its programming. Driver-less cars also raise many ethical questions that builders will have to answer as time goes on. Nevertheless, this is future that we are moving toward and there are no signs of stopping. What is your take on a future without having to drive? Are you excited, nervous, unsure about removing yourself from the driving equation?